My research interests include three areas: (1) statistical methods for big biological datasets; (2) multivariate statistics; and (3) environmental and ecological statistics. My goal is to further scientific understanding by developing, improving, and disseminating statistical methods. It is my belief that scientific inquiry starts from a complicated world and seeks to reduce the empirical to general patterns; in contrast, mathematics starts from axioms and constructs a richly structured world. I am passionate about statistics because it ties together our inductive and deductive methods to create an understanding of the probabilistic universe. 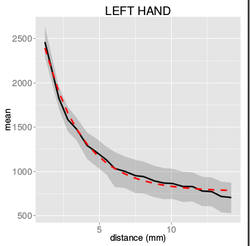 Left: Activation map from a finger-tapping motor task for an example subject estimated using the spatiotemporal mixed model. Right: Covariogram for the BOLD signal as a function of geodesic distance. Top: Motion artifact detected using Spline-LCA. 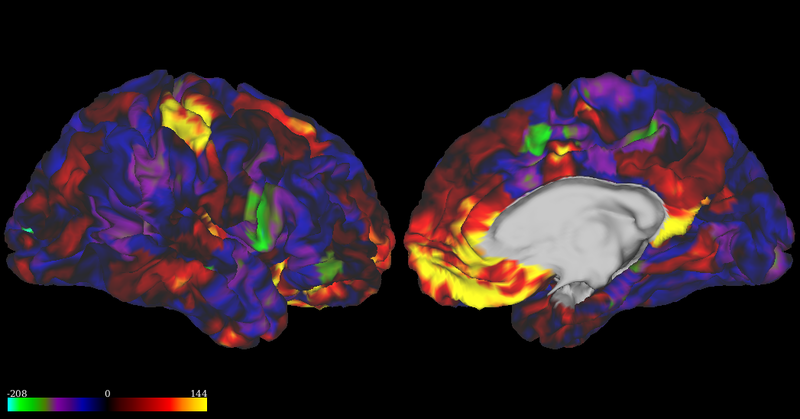 Positive activation near the boundary of the brain and negative activation on the opposite side are indicative of motion artifacts. Bottom: Matched component from PCA+ProDenICA. Note that the conventional approach fails to identify the motion artifact. 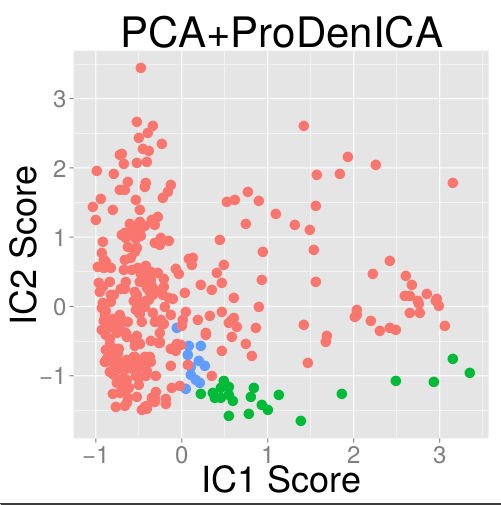 Detecting features in correlated multivariate data. 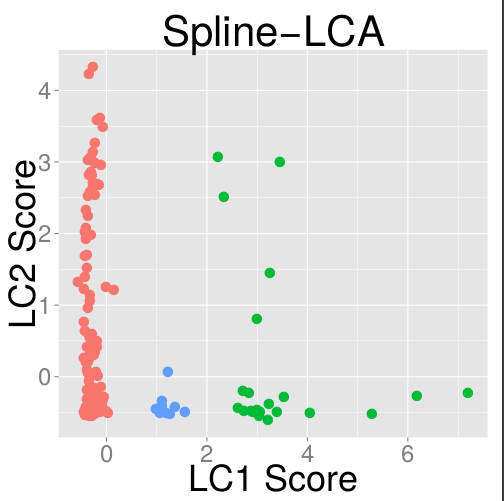 PCA (left), PCA+ProDenICA (middle), and Spline-LCA (right) analysis of a leaf dataset. The green dots represent two species of leaves that have very narrow simple leaves, blue dots represent a species with a less narrow simple leaf, and the salmon dots represent all other species. Probability of siring an extra-pair young as a function of distance between a male's territory and an extra-pair female's nest in the Black-Throated Blue Warbler. Photo credit: Christopher Taylor.